Carnival Vista Details About To Be Released, What Do We Want? Cruise News Carnival Cruise Line Carnival Vista Details About To Be Released, What Do We Want? In recent days the cruise industry has begun its build up of Carnival’s much-anticipated Carnival Vista cruise ship which is going to be a new class for the Miami based cruise line. So in 2014 we had innovation with Royal Caribbean’s Quantum of the Seas and announcements of new innovative builds and features from MSC Cruises and Norwegian Cruise Line but the big question is will Carnival continue this trend? 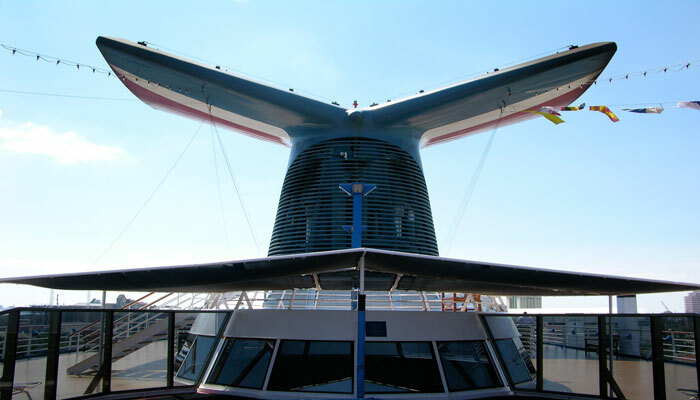 Will the cruise line bring back it;s glory days of having the largest cruise ships at sea? Well from what we’ve seen online the answer is NO. Details about the Carnival Vista along with probably a 3D rendering of the ship will be revealed in just hours from now. The online community has already predicted that the ship will be of similar design to the Dream class ships but just a little larger. Carnival Cruise line could possibly be aiming at squeezing as much cabin space as possible instead of focusing on innovation. That has been rumor for some time that the ship will be a new design known as “Project Millie” with more open deck space of the lower decks and the largest waterworks at sea. What we do know is that the ship will be 135,500 tons and is currently being constructed at the Fincantieri shipyard in Italy. Once delivered it will carry 4,000 passengers and will offer all the latest FUN 2.0 features. We’ve warning our readers not to expect an industry changing cruise ship even though the popular ship designer Joe Farcus has now got back involved with Carnival after being with sister line Costa Cruises for some time. Cruise Hive will let readers know of the Carnival Vista details that will be released on January 22nd. If what we’ve posted here is completely wrong then Carnival just might be back in the game and an entire industry could be in shock. let us know what you’re looking forward to with the Carnival Vista in the comments below.